Become a member for the 2016-2017 Season at Vineyard Theatre and experience some of New York City’s finest theatrical productions while receiving exciting member benefits. You’ll become a part of our rich community of artists, staff and fellow theatre enthusiasts. We offer a variety memberships at various price ranges, ensuring there’s something for everyone. Plus with our flexible member priority booking you choose the date, time and seat for each production whenever you are ready. At least 10 days of priority booking before tickets go on sale to the general the public, so you have access to the best seats in the house. The ability to purchase up to 4 Guest Tickets (standard seats only) at $40 per ticket, per production. The ability to reschedule your tickets for a show, with 24 hours advance notice, once per production. Exclusive invitations to Developmental Labs and other special events. 25% off all food, drinks, and merchandise purchased at the concessions bar and box office. Everything. Easy. You’re done. One ticket to all Vineyard Theatre shows – more than 25% off full-priced tickets! 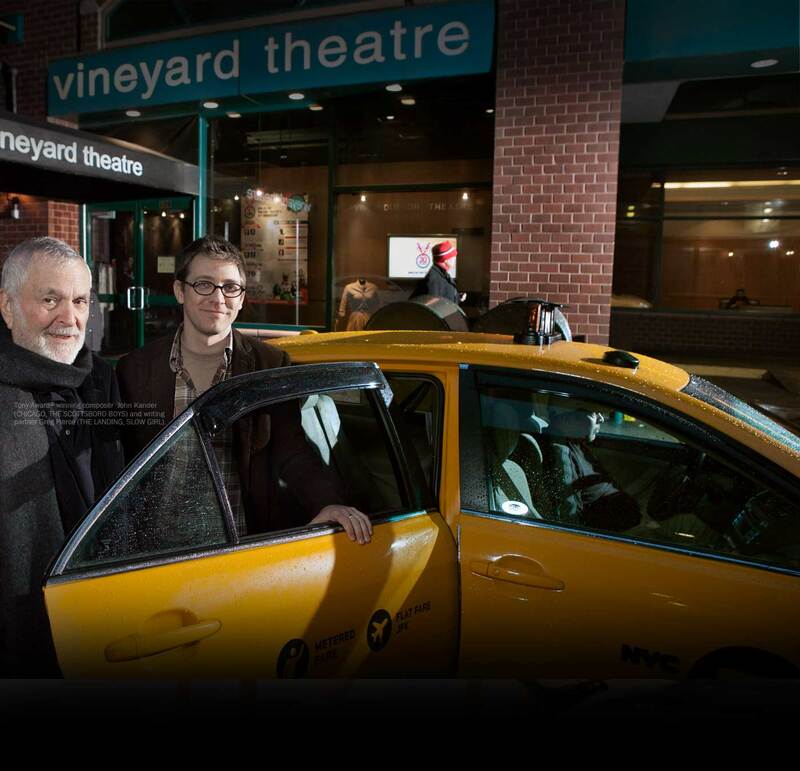 One ticket to all Vineyard Theatre shows with access to book into our Premium seats. Plus, you’ll receive a complimentary drink ticket at each production you attend. Guest tickets are $60 in Premium seating locations or $40 in Standard seating locations with this membership. Like to be among the first to see a new show? This membership is for you. The Early Bird Membership includes one ticket to every Vineyard production of any preview performance before the official Opening Night. Ultimate flexibility. You choose the shows you want to see! $75 for your membership and then just $35 for you member ticket for each show. If you’re under 35 years old or a professional theatre artist, you pay only $35 for your membership and then just $20 for your one member ticket per show. You pick the shows you want to attend. Valid ID (birthdate or union card) required. For more information about the Vintner Patron Program, please click here. *Goods and services valued at $360. The remainder of your gift may be tax-deductible to the fullest extent of the law. Schedules, performances and artists subject to change.